One way that honey bees work to heal themselves, is to take in medicines from the plants through scents. 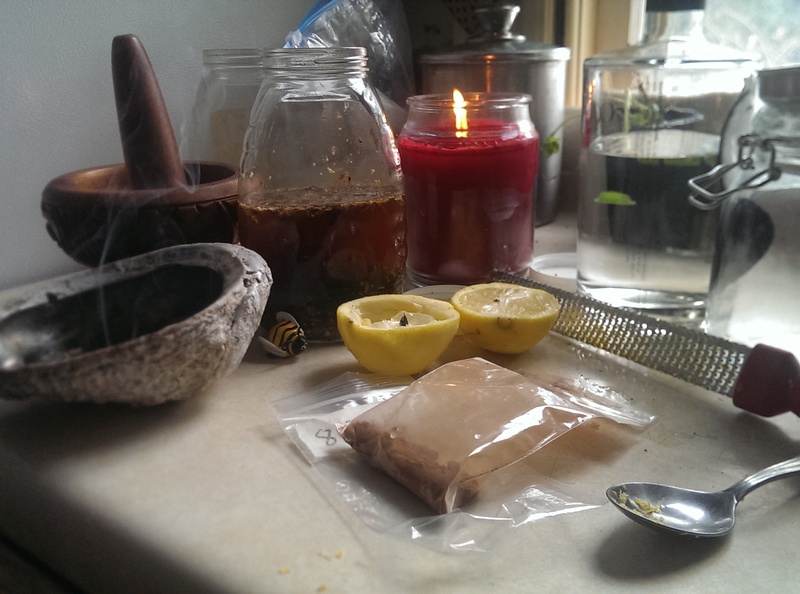 As this is something that I do not do enough of in my life and I feel honey bees are some of the best teachers to learn from, I decided to give scent healing a try. I knew I wanted to work with Lemon Balm, as I already had a relationship with it, and it would be a good place to start to deepen a relationship. A honey bee is in a constant sacred relationship with the plants in a 3 mile radius from the hive. When the honey bee collects the nectar and pollen from a plant, it is made aware of everything that made the creation of those two medicines possible; the nutrients in the soil, the amount of water, the intensity of the sun, the vitality of the plant and it’s memory of growth from a seed. I wanted to expand to this deep of a level with a plant and to try to learn how a honey bee lives better. Lemon Balm seemed the perfect place to start! Lemon Balm is also known as “Melissa Officinalis” today and as “Melissa” and the lesser known name of “apiastrum” to the Greeks, both of which mean “bee or honey bee.” Why is this plant named after honey bees? The Greek philospher and naturalist Pliny the Elder wrote that bees were “delighted with this herb above others.” As most cultures, back through Neolilthic Spain (15,000 BC) show a reverence for the honey bee, who brings vitality to the land and to the people living on the land, the flower that delights them the most, is a pretty important thing. 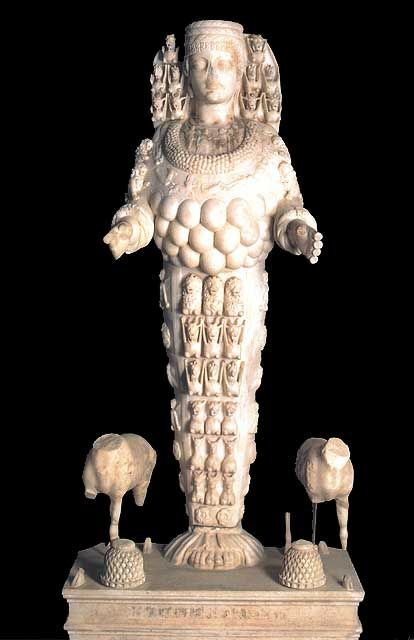 In ancient Greece, Ephesus was famed for the Temple of Artemis (550 BC) (now present day Turkey), where Artemis, the mother goddess was often related to or even called a queen bee, while the priestesses were called Melissa. Many of the mother goddesses were known as a honey bee; Persephone, Demeter, Rhea, Cybele. 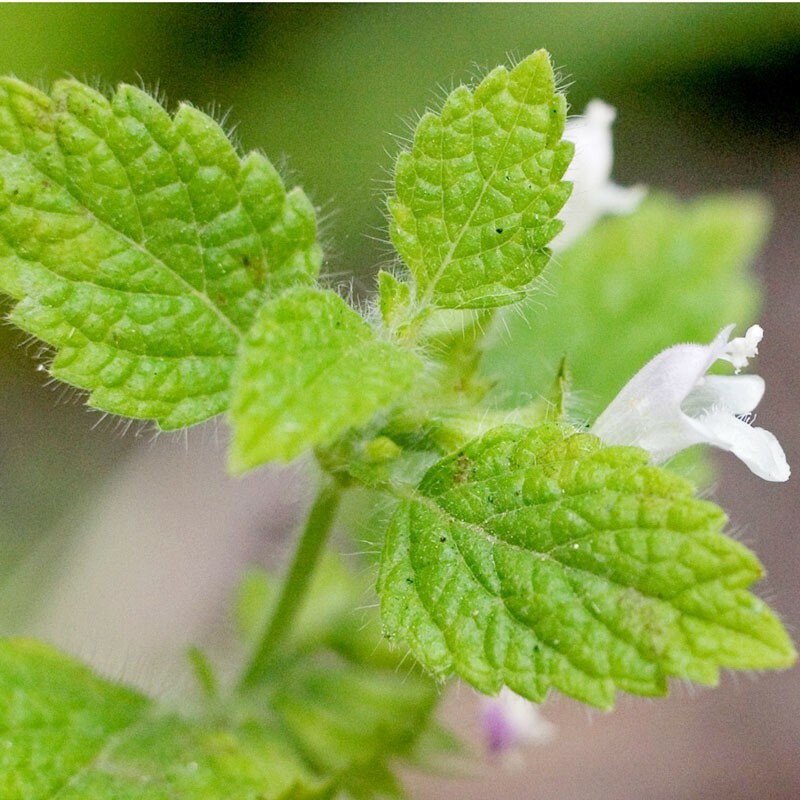 The Egyptians also revered the honey bee, but as the known use of lemon balm is traced back to ancient Greece, I will not go into the Egyptian connections to the honey bee, though there are many. So, lemon balm then, was used in Greece in relation to the honey bees and we can see that thread follow through to the practices of beekeepers today, who “bait” an empty hive with lemon balm oil or a sprig of lemon balm to attract bees. The Arab physician Avicenna, (980-1037) said, Lemon Balm “causeth the mind and heart to be merry.” The Arabs were later thought to teach Europeans of the benefits of Melissa. If you follow the thread of lemon balm to the medieval period, in the ninth century, the first Holy Roman Emperor Charlemagne thought Melissa so beautiful he ordered it planted in all monasteries. It was only a matter of time that the sweet balm was used in a range of medicines, from tonics to perfumes, to liquors, since monasteries were also the first hospitals. One of the prized tonics was Carmelite Water, which had lemon balm as it’s main herb. It was so popular that it became known as ‘Eau de Melisse des Carmes’, and patents were granted by Louis XIV,XV, and XVI of France for the friars to protect their recipes. With all of this history circling in my mind, I crush a couple of leaves of Melissa in my hands and find myself immediately smiling. I can see where the prescription of lemon balm to ensure happiness and sooth the soul and any anxiety might come from, as I am immediately transported to summer, when the sun is at its peak and the tiny white Melissa flowers are blooming and buzzing with honey bees as they climb from flower to flower and use their three part tongue to father the nectar. I am not sure what is the most healing to me; the smell, the vision of the bees pollinating, the feel of the crushed leaves in my hand, or the sound of the bees buzzing. I decide to taste it, to fully engage all of my senses. It is more light and sweet than earthy. At this point, I use all of my senses to engage with a sample of Carmelite Water that I made from a recipe I liked online. 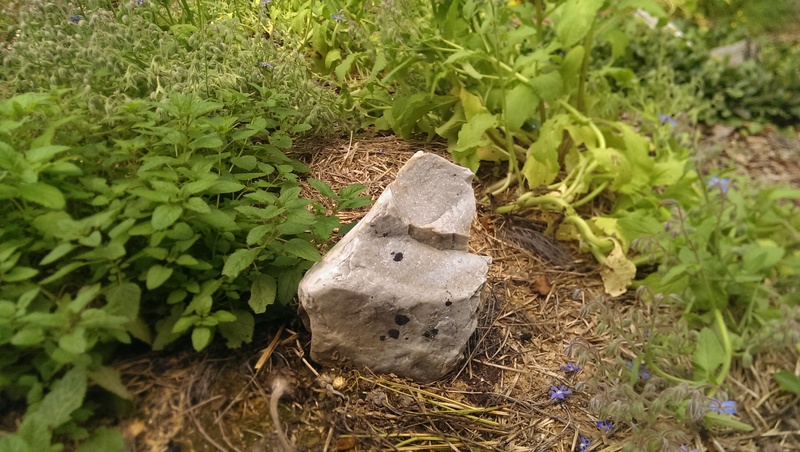 It is pretty intense and not as gentle and light as the lemon balm itself. It has the element of fire within it though, just like the feel of the Melissa in the peak of the sun’s light. I find it energizing and warming, especially as I look out the window and see the foot of new snow on the ground and fast falling snow adding to that amount. Lemon Balm has a deep connection with honey bees and they are in constant relationship to this day. I do find my “mind and heart to be merry” as I enter into that relationship myself. My blood is stirring and old knowledge is calling. I know I enter into this relationship with all of my senses open, as the honey bees teach. I shared a bit of my Carmelite Water with my hives on this snowy day. 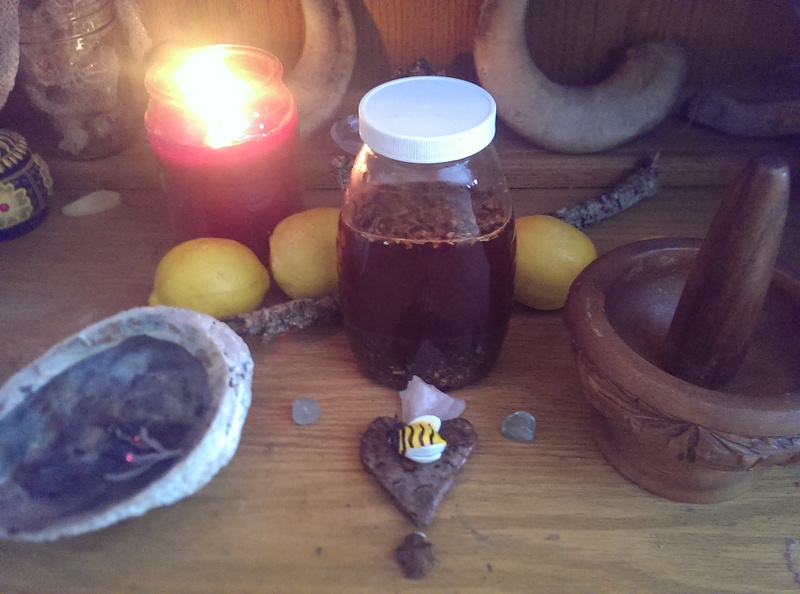 I put the strained solid matter near the front of their hives, so the scent would travel into the hives and the dreaming clusters could have pleasant dreams of a warmer time in the summer and of an ancient time of reverence for the honey bee, where Melissa priestesses worked in harmony with the sacred bee. May they know that this Melissa is here for them now and I enter into sacred relationship with them, so that we can work together in harmony to create more harmony. If you would like to read more about the medicinal aspects of Melissa, check out this page. There are so many ways to get involved and help the bees! Love your determination to protect these beings who hold so much love and healing for all of us!